Drinks with the girls? 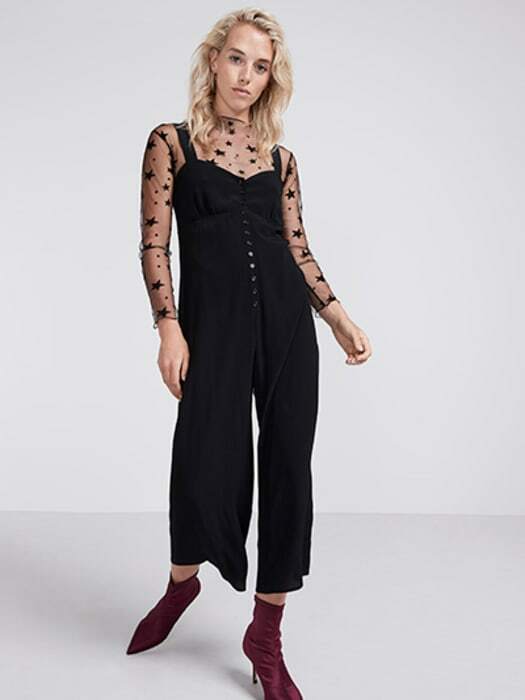 Do understated-cool in this black Button Through Jumpsuit, characterised by cross-strap detail. A fave for the party season, the figure-flattering shape gathers at the waist before falling to a pair of a wide leg culottes below. As for styling, try it layer over our star-speckled bodysuit.